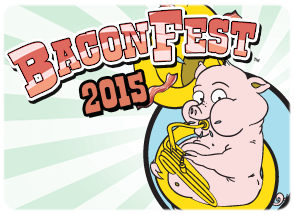 The 2015 Atlanta BaconFest will offer up a sizzling menu of bacon, beer and bands at Masquerade Music Park on Saturday. The annual outdoor festival is a fundraiser for Dad’s Garage, a local nonprofit theater company. 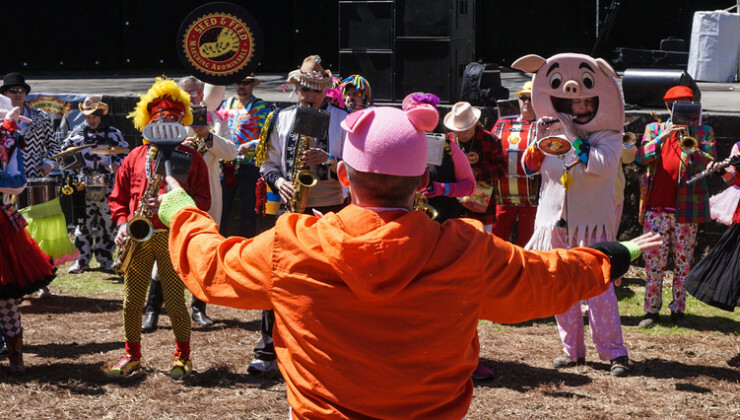 Organizers described the festival as an “unbridled bash,” which will include more than 2,250 pounds of cooked bacon, literally a ton of pork. “Basically at BaconFest, there’s bacon every couple of steps and a bunch of different people doing different things with it,” said Mike LaSage of Bone Lick BBQ on WABE’s “A Closer Look” on Wednesday. “There’s the Bacon Smackdown, which is a lot of fun,” LaSage added. Dad’s Garage artistic director Kevin Gillese explained how the Smackdown works. “All the different restaurants are competing to see who has the best bacon in town, so you have to go to each one, try their bacon and vote for your favorite,” Gillese said. 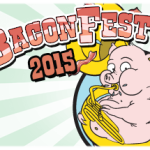 The bacon fare at the festival includes roasted hog, cups of bacon and BLTs, to name a few options. Listen and read the whole story here. « Seed & Feed Exemplifies the Atlanta St Patricks Day Parade Hijinx!